It seems from the moment you begin to take your love of astronomy seriously, the thing that is on your mind is what kind of telescope will you get. And there is no question, investing in a good telescope can really enhance your enjoyment of your new passion in astronomy. But don’t be too hasty to keep up with the big wigs in the astronomy clubs that have advanced telescopes. There is another alternative that can give you most of the advantages of a telescope and some extra flexibility and reduced cost to boot. That alternative is a good pair of astronomy binoculars. Mostly we think of binoculars as the thing you use to see the football game when you have to sit in the cheap seats. 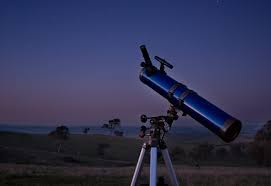 But if you do some homework and had a good grasp on what your stargazing objectives are, the advantages of astronomy binoculars over an entry level telescope can be pretty convincing. As a rule, they are cheaper. So you can get a lot of good stargazing at much less of an investment. You can always spend more money later but for now, this may be just the solution for you. There are not so many accessories. To own and operate a telescope takes a lot of orientation to how to set up and use the device. Beyond that, tuning it for optimum view and diagnosing it when you have problems can sometimes make the telescope more of the passion than stargazing itself. It is much easier to use. If you have not bought a telescope yet, you may have seen telescope owners going through a laborious set up and break down discipline for each use. This is time they are not looking at the stars. The binocular users are happily stargazing as this goes on. Binoculars are lightweight and portable. Unless you have the luxury to set up and operate an observatory from your deck, you are probably going to travel to perform your viewings. Binoculars go with you much easier and they are more lightweight to carry to the country and use while you are there than a cumbersome telescope set up kit. Binoculars have two lens sets, one at the end of the eyepiece and a set right next to your eyes. The ones closest to the eye are called the ocular lenses which magnify the image (make it bigger). The ones closest to the sky are called the objective lenses and the size of these lenses will determine how much sky you can see at once. So anytime you are evaluating binoculars, there are two numbers associated with the set. So if the binoculars have a rating of 15-40, that means that the ocular lenses magnify 15 times and the later number is a relative number to how much of the sky you can see. The higher the second number, the more you can see. The explanation is simple. The bigger the lens, the more light it lets in. But be aware that the bigger the second number, the larger, heavier and more cumbersome the binoculars will be. You will have to balance these two numbers with both your budget and what you want the binoculars to do for you. If you decide to go with a lower power binoculars, you could become frustrated with what you can see and you may have to take your eyes away from the view to get your orientation and consult the star map more often because your range of vision is so limited. There will also be a temptation to buy a set of binoculars that have zoom functions and other features that will allow you to use it for other purposes such as hunting, whale watching or seeing the football game from the cheap seats. While this is good economy, those functions will get in the way when you are using the binoculars for astronomy. So if you are considering this purchase as your alternative to buying a telescope, our advice is buy binoculars made just for astronomy and don’t take them to the ball game. 0 Response to "Astronomy Binoculars A Great Alternative"